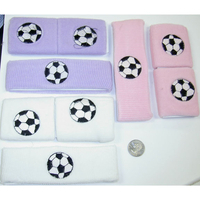 $3/DZ SWEATBAND SET. 3 COLORS. PASTEL BLUE, PASTEL PINK , AND WHITE.